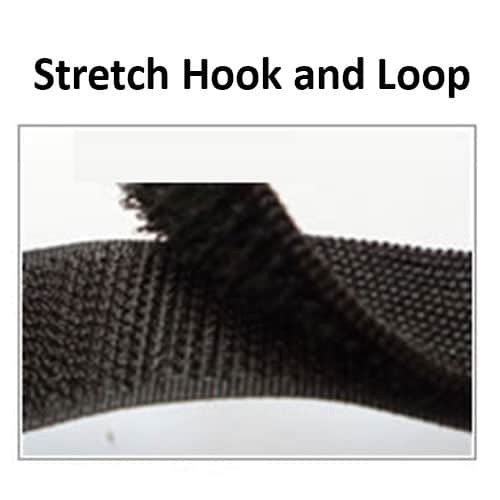 Non-marking stretch Velcro heel grounders help keep your controlled environment clean and your personnel grounded. The HG1360NM2 is constructed from a non-marking and highly dissipative three layer rubber. The reversible 1.5 wide rubber cup, secures both at the back and underneath the heel. 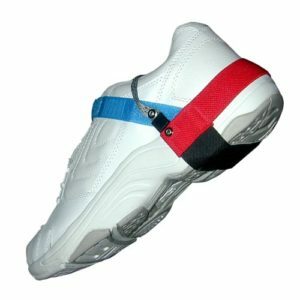 Its 7.5 length rubber provides enough cup volume to fit comfortably on those with larger shoe sizes. 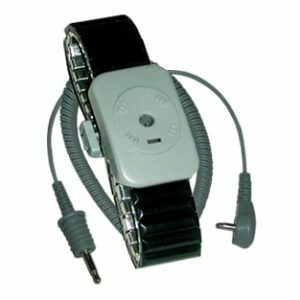 The 7 stretch hook and loop enclosure ensures a comfort fit. These heel grounders connect the person wearing them to ground via a proper floor mat or flooring material. 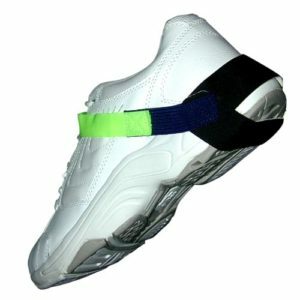 Wearing the conductive ribbon inside the shoe or sock assures proper electrical contact with the user. A buried 1 meg ohm resistor is standard. 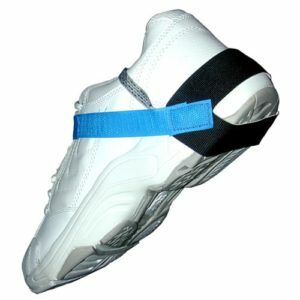 Heel grounders are worn on both feet to provide consistent grounding while in motion.